Between the religious massacres, conflicts and martyrdoms that characterised much of Reformation Europe, there seems little room for a consideration of the concept of moderation. Yet it was precisely because of this extremism that many Europeans, both individuals and regimes, were forced into positions of moderation as they found themselves caught in the confessional crossfire. This is not to suggest that such people refused to take sides, but rather that they were unwilling or unable to conform fully to emerging confessional orthodoxies. 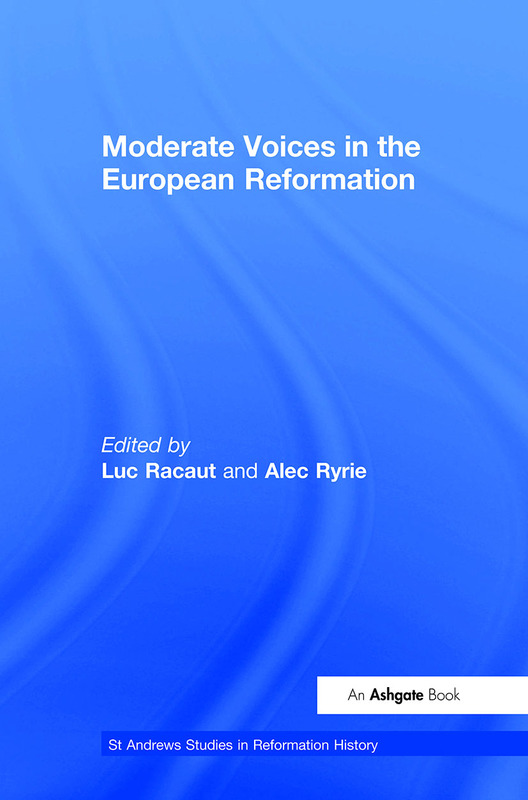 By conducting an investigation into the idea of 'moderation', this volume raises intriguing concepts and offers a fuller understanding of the pressures that shaped the confessional landscape of Reformation Europe. A number of essays present case studies examining 'moderates' who existed uneasily in the space between coercion and persuasion in Britain, France and the Holy Roman Empire. Others look more broadly at local and national attempts at conciliation, and at the way the rhetoric of moderation was manipulated during confessional conflict. These are all drawn together with a substantial introduction and analytical conclusion, which not only tie the volume together, but which also pose wider conceptual and methodological questions about the meaning of moderation. Contents: Introduction: Between coercion and persuasion, Luc Racaut and Alec Ryrie; Diplomacy, evangelism and dynastic war: the brothers Du Bellay at the service of Francis I, Alexandra Kess; A diagnosis of religious moderation: Matthew Parker and the 1559 settlement, Louise Campbell; A mini-'colloquy of Poissy' in Brittany: inter-confessional dialogue in Nantes in 1562, Elizabeth Tingle; Immanuel Tremellius and the avoidance of controversy, Kenneth Austin; Cooperation and confessional identity in mid-Tudor England: three Berkshire courtiers, Michael Riordan; National church, state church and universal church: the Gallican dilemma in 16th-century France, Alain Tallon, trans. Luc Racaut; The battle for indifference in Elizabethan England, Ethan H. Shagan; 'Wolves and weathervanes': confessional moderation at the Habsburg court of Vienna, Elaine Fulton; René Benoist: scripture for the catholic masses, Alison Carter; Moderation under duress? Calvinist irenicism in early 17th-century royal Hungary, Graeme Murdock; Conclusion: Moderate voices: mixed messages, Mark Greengrass; Index.